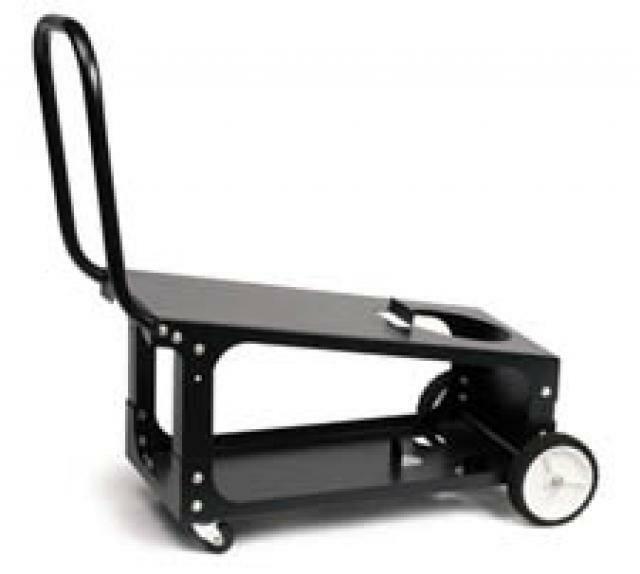 Full-featured cart is designed to store and transport a welder, 80 cubic foot gas cylinder, welding cables and accessories. Includes an angled top shelf for easy access to welder controls, a lower tray for added storage space, a sturdy handle and a convenient cable wrap hanger. Replaces K520.